My absolute top of the line model, an homage to the gleaming Italian chromed bikes of the 70's and 80's, but executed with modern stainless and high strength steel tubing. stainless rear triangle with my signature sleeved seat stays. Featuring flat mount disc brakes, thru axles and clearance for up to 40mm tires, this Modern Classic can cover a lot of ground! The tapered head tube blends gracefully into the top and down tubes on this slightly more "Modern" classic! 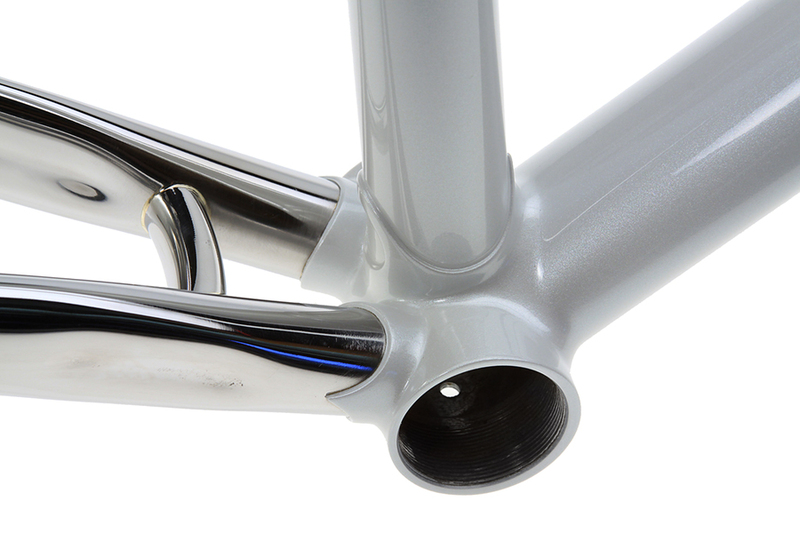 The stainless rear triangle features Paragon flat mount, thru-axle dropouts in full polish. No second cup of coffee before I braze up details like these stainless bosses. No room for extra silver solder around this brake bridge, and no paint to hide behind. 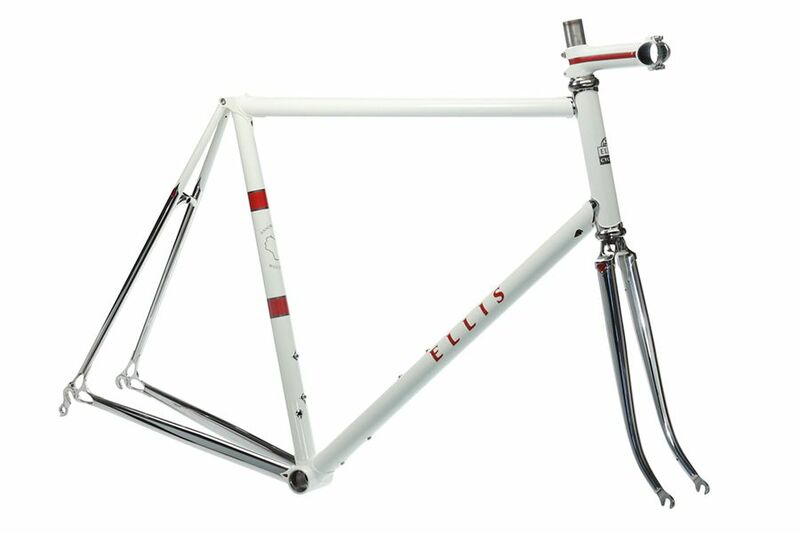 Al chose to go forgo lugs in favor of a smooth fillet brazed main frame mated to a stainless rear triangle and fork. Carving lugs is hard work. 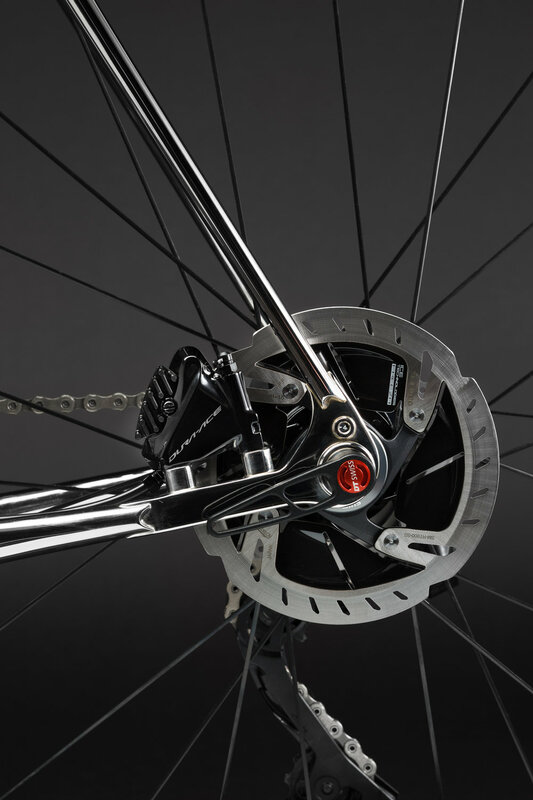 The Modern Classic gets a bit more modern with the addition of disc brakes. 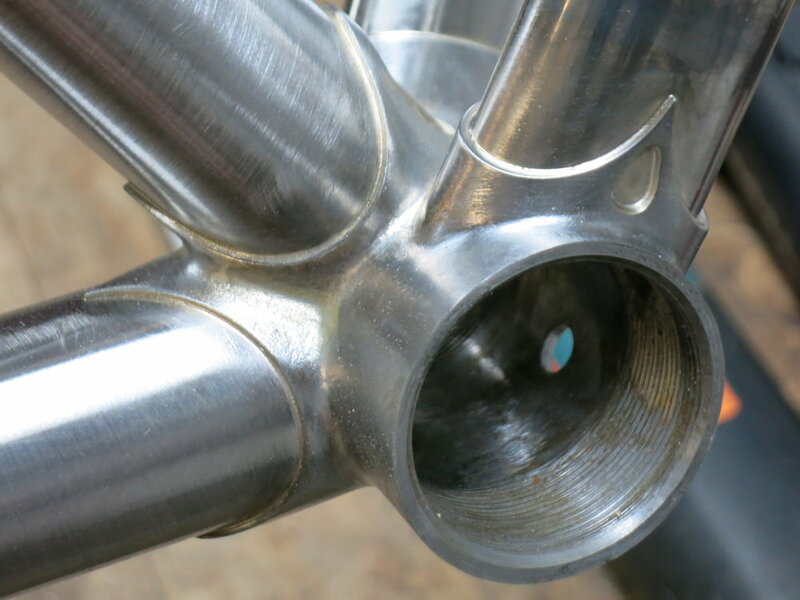 On Wayne's Modern Classic I slid an oversized down tube over the bottom bracket socket and filleted it for a super clean look. Lots of work go into every set, from carving teardrops to completely reshaping the shorelines. 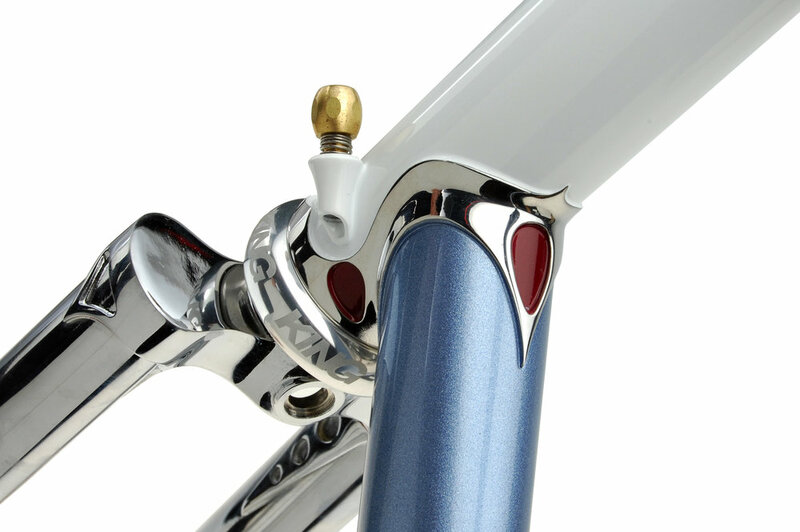 A painted stem is the perfect way to finish the build on your Modern Classic. On this stem, all the pinstripes are painted on, no decals. Taking a bike from design to road ready is easy, I'm happy to discuss all the options and deliver your bike ready to ride. Another Modern Classic signature which makes for a perfect transition from paint to the polished stays.